My name is Jane Moss and I’m self-employed as a writer, with my own business running retreats and courses for writers (www.thewritingretreat.co.uk). I have a background in marketing and communication and I use those skills now to coach companies and individuals in how to promote their brand. No two weeks are ever the same and I love that. I cut my teeth as a copywriter for Saga Holidays plc. I wrote brochures for round the world cruises, winter sun holidays and short breaks (although they never actually sent me on a holiday). It was a great company to work for and a brilliant apprenticeship in how to talk to customers and generate sales through the written word. Helping to re-launch Arts Council England after a long and difficult process of restructure in which 11 regional organisations merged into one national body. Our Chair at the time was Sir Gerry Robinson (of Granada fame) and he was an inspiration in terms of how to steer a clear path through a complex process with lots of competing interests. We had to hold our nerve in the face of negative media but when the launch happened our headline was all about the benefits to the people we were working for; the artists and arts organisations applying to us for grants. The negativity largely faded away because we were no longer the story. What or who has inspired you? My first boss at Saga taught me everything he knew and did it with humour and patience. I still draw on things he taught me. At the Arts Council I worked for someone for whom, if she called up today and said ‘come and work for me again Jane,’ I’d drop whatever I was doing and go. She was the perfect boss, a natural leader who motivated her team simply by trusting us to do our best for her – and we did. Thirdly, when I worked as a communication adviser at the Home Office, I was impressed by the commitment to public service of my civil servant colleagues, Civil servants don’t always get a good press but in my experience they are highly skilled, trained and committed to running the country, which is no mean feat. What is the most valuable lesson you have learned? Sir Gerry Robinson says that if a problem looks difficult, the solution is probably simple. I have found that to be true. We make situations more complex by failing to see the most obvious solution. What is the biggest professional challenge you have faced? Starting my own business, having decided to move home to Cornwall. It takes courage and determination to make such a big move, but the rewards are worth it. Do what you love and it doesn’t feel like work. Friend – the sort that chatters incessantly in your ear when you’re trying to concentrate but occasionally says or does something really useful. What advice would you give now to a senior executive looking for their next career move? If you’ve been in one job for a long time, don’t worry if you don’t find something else with as much longevity straight away. Your next job doesn’t have to be identical to your last one. You have an opportunity to do something different, if you want to, and to play to your strengths. Looking back on your career so far, what would you change? Very little. I’ve had – and continue to have – a blast. 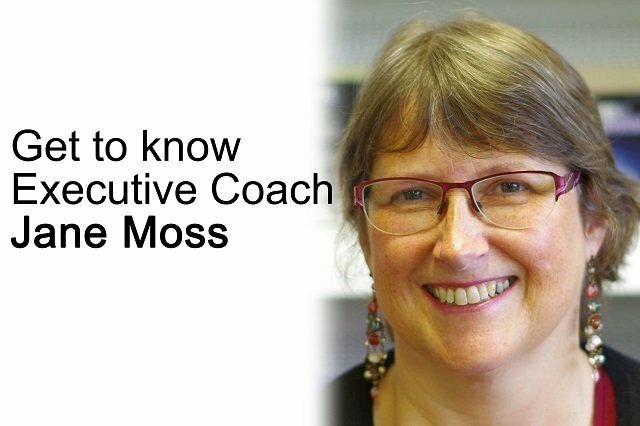 Would you like an Executive Coach by your side, helping you land your next job, faster? Let’s arrange a call today to talk about your individual needs and how personalised career coaching can help you. Call us on +44 (0) 203 384 4188 or email contact@executiveconnexions.com now.